When I saw a man with a fully zipped-up winter jacket and his convertible top down on the first 41-degree day with sunny skies, I had to stifle a snicker. He was obviously still chilly despite intentionally exposing himself to the cold air. As I thought about it, I realized he was simply celebrating a little win. We had a record miserable winter and he was choosing to embrace the much welcomed weather long before the official arrival of spring. However, it was my reaction that gave me most pause. In our personal and professional lives, the tendency to make light of another person’s win can create negative energy and work against building a relationship or achieving a common goal. Day to day we are surrounded by tough decisions, intimidating meetings, pressing deadlines and the stress of hoping to balance, blend or prioritize family, friends and work. As I continue to build leadership skills, I have seen the importance of inspiring a shared vision to meet common goals. The shared vision mandates hard work, communication and diligence, to be sure. It also encompasses sharing in successes and finding milestones to rally around in the overall journey to victory. Past experience has taught me that simply sharing in a common goal does not mean your team is on the same page or prepared to accomplish that goal. I’ve found the following to be particularly helpful in my quest to "get things done" with teams. 1. Ask and incorporate feedback. We cannot just ask our team to share in the same vision we’ve projected. After hearing their insight, we must work to incorporate it into the plan. Think about it: How often are you motivated to work toward a goal that you didn’t have any initial say in or feedback on as part of the work unfolded? Intentionally working your teammates’ insight into the goal will create the most buy-in for the most people and lead to the ultimate chance for success. 2. Be realistic about expectations and metrics. While challenging ourselves to meet a goal, it’s important we understand the surrounding factors that can inhibit or spur success. It seems intuitive, but I’ve caught myself making goal that are too aggressive, only to be disappointed if I couldn’t meet them in that timeline. Asking for your team’s honest projections can help check your personal timeline and lead to a unified vision toward achievement. 3. Celebrate the little wins. We all know success is a journey. Without celebrating along the way, the team can become burned out, deflated and downright pessimistic about getting there. As a leader, it’s important to recognize what the team brings to the table and make a point to celebrate it. Equally important is to encourage others when they bring their wins, recognizing that you as a leader aren’t the only one with jurisdiction to allow celebration. Teamwork only makes the dream work when the players are on the same page and united toward the same goal. I encourage everyone to throw their convertible top down in the coming couple of weeks and, more importantly, recognize when your team members do so and join in the celebration. We can all use encouragement, and ultimately it can build your inspired vision to reach success. 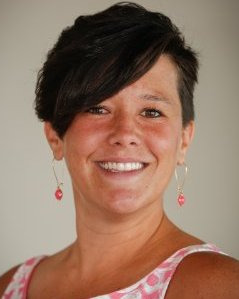 The 2016 Grassley campaign originally drew Anne Roth, a native Iowan, back to the state after she went to school and worked in Washington, D.C. Now, she works as the strategic initiatives specialist for Iowa Business Council, handling communications, external affairs and project management for the association. She is a current class member in the Greater Des Moines Leadership Institute's Community Leadership Program and serves in various capacities for local nonprofits. She lives north of Ingersoll with her fiancé; they like to bike, travel and dine at local restaurants. Contact her via email.